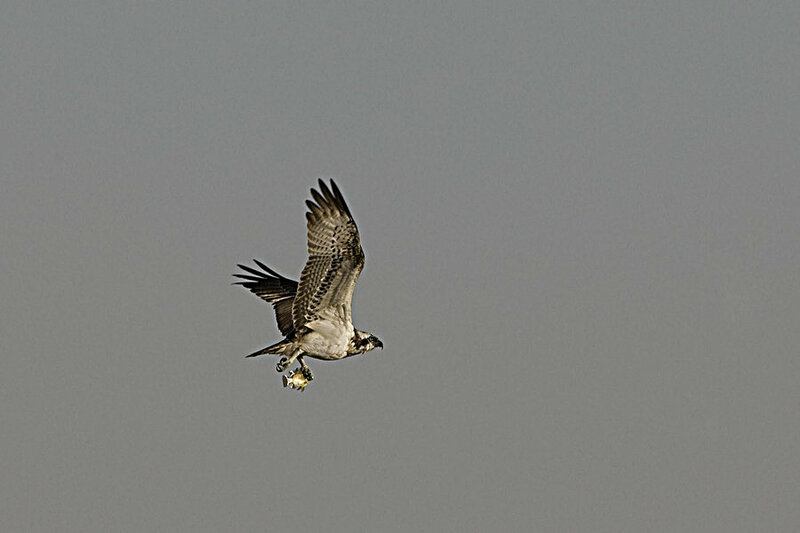 This is just a quick post to show a superb flight shot of a Western Osprey taken by Phil Roberts at Sabkhat Al Fasl last Friday. The bird flew in whilst we were watching some Caspian Terns fishing and Phil managed to take a quick shot (only one) of the bird as it flew away with a catch of a fish which looks like a Tilapia. Phil has just sent the photo to me and kindly allowed me to put it on the website.